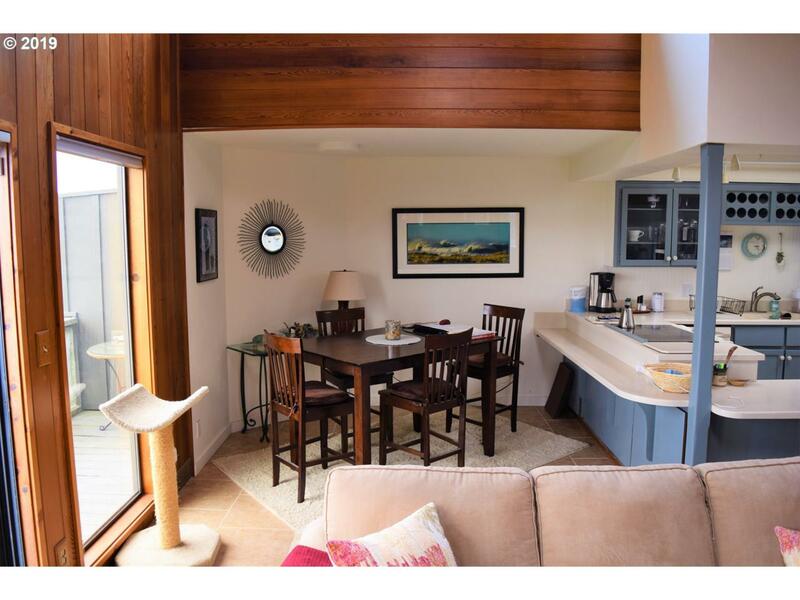 Fantastic Pacific Ocean views await you at this very unique two bed, 1 bath, upper level unit. 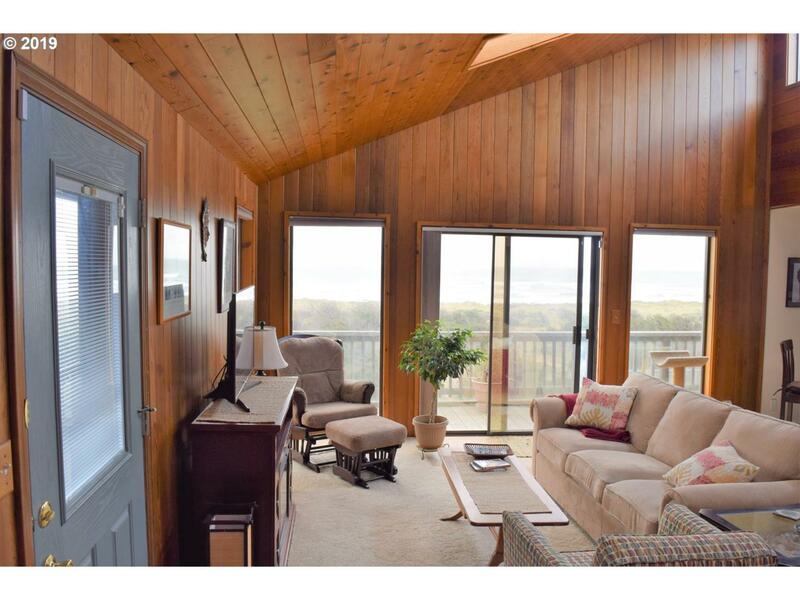 Light, open feel with knotty pine vaulted ceilings. Corian countertops. New hot water heater. Stack washer and dryer. 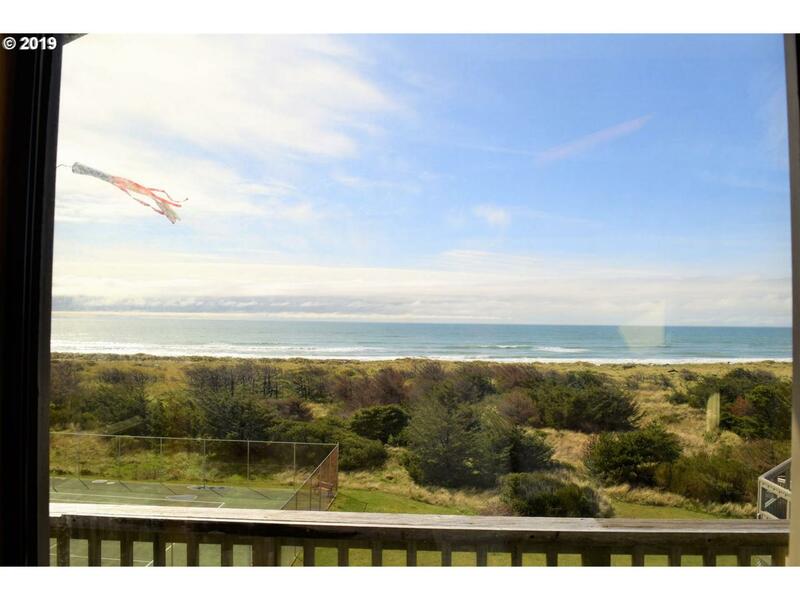 Hear the ocean and watch whales from your own private deck. Detached garage AND storage unit. 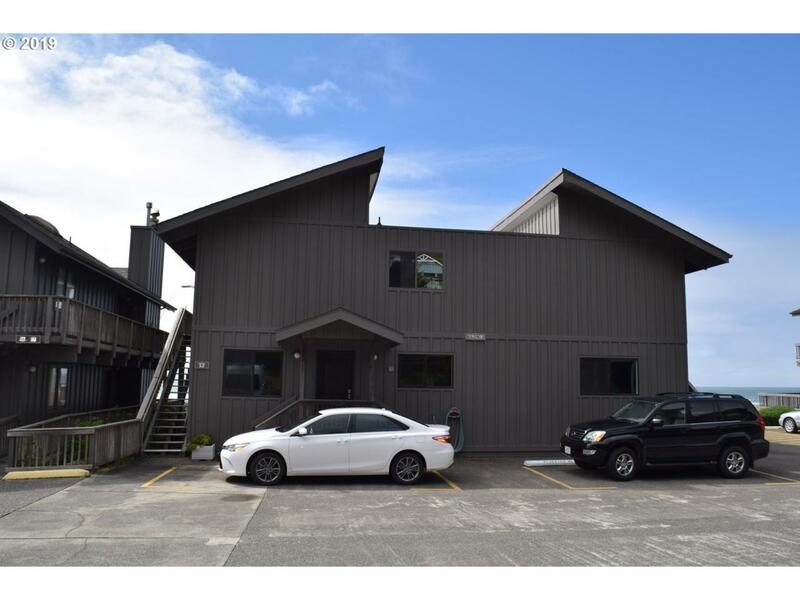 Listing provided courtesy of Pacific Coastal Real Estate.